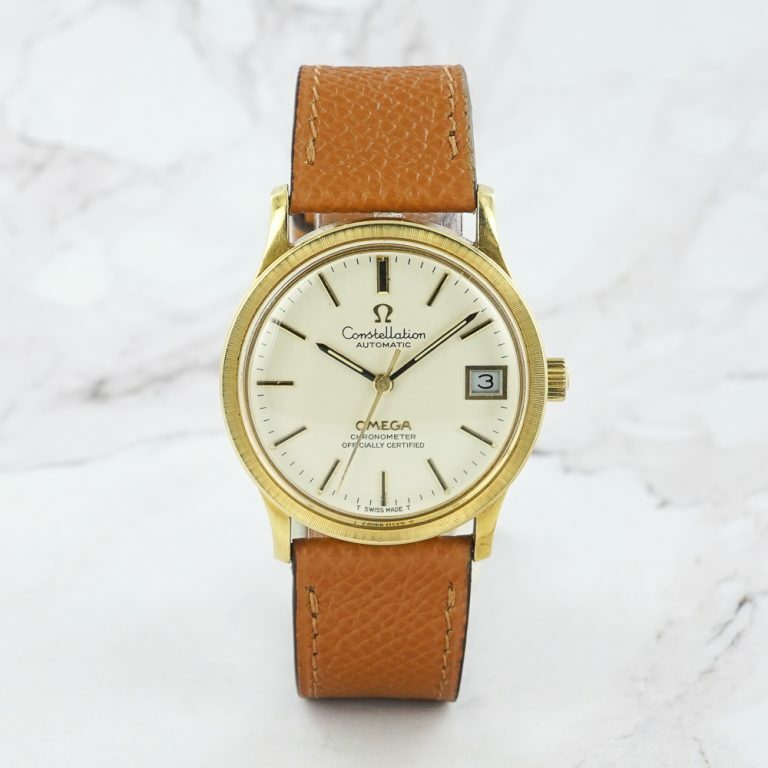 Up for sale is this mint and gorgeous Omega Constellation from the late 60s, special design made for the Japanese market, in a solid and unpolished 18kt yellow gold case. 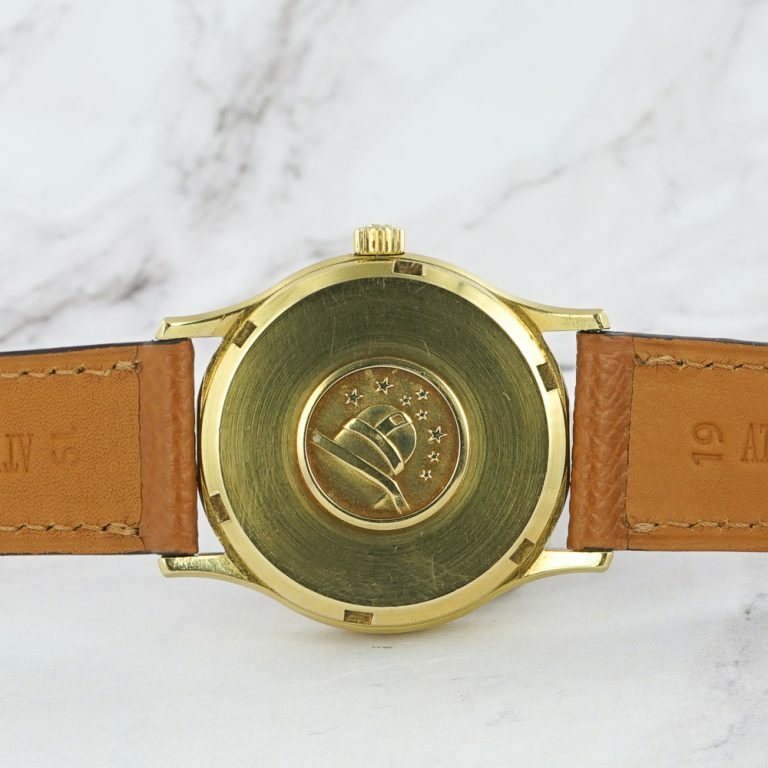 More watches on the website. I am asking 2500€, serviced, guaranteed, shipped worldwide. This Omega Constellation from 1969 is a true gem. Produced in a handful, for the japanese market, shaped like a Patek Philippe Calatrava 96, it features a heavy 18kt yellow gold case, where most of this reference were produced in stainless steel, a bezel with a finish to die for, and is close to NOS condition. 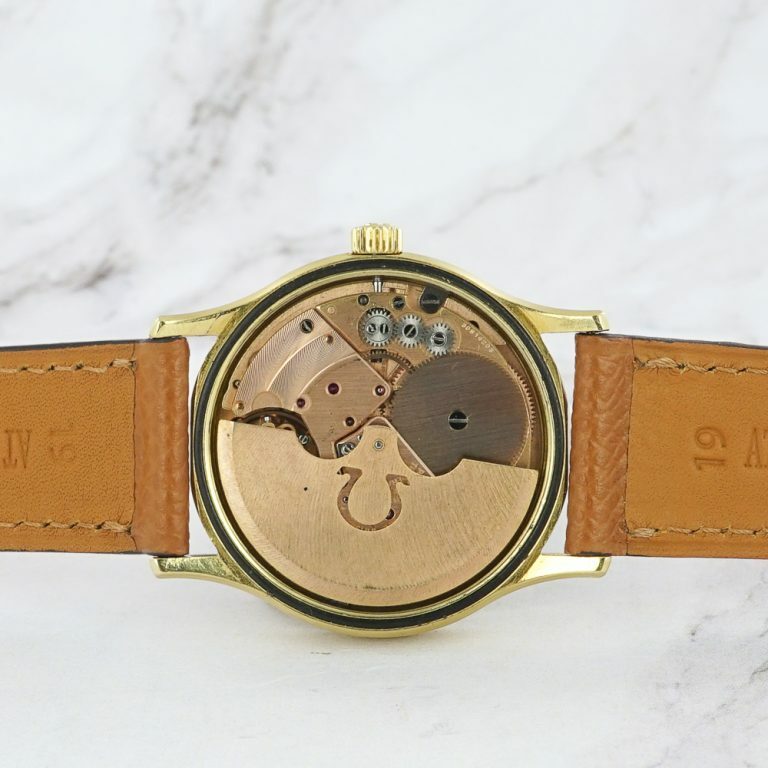 Very elegant, yet fun enough to be worn in any situation, it’s the kind of watch you will never let go. Animated by the 1001 Omega movement, chronometer of course, it is the best of its time and comes as it was new. A true, true, true stunner. The watch is in mint condition, close to new. 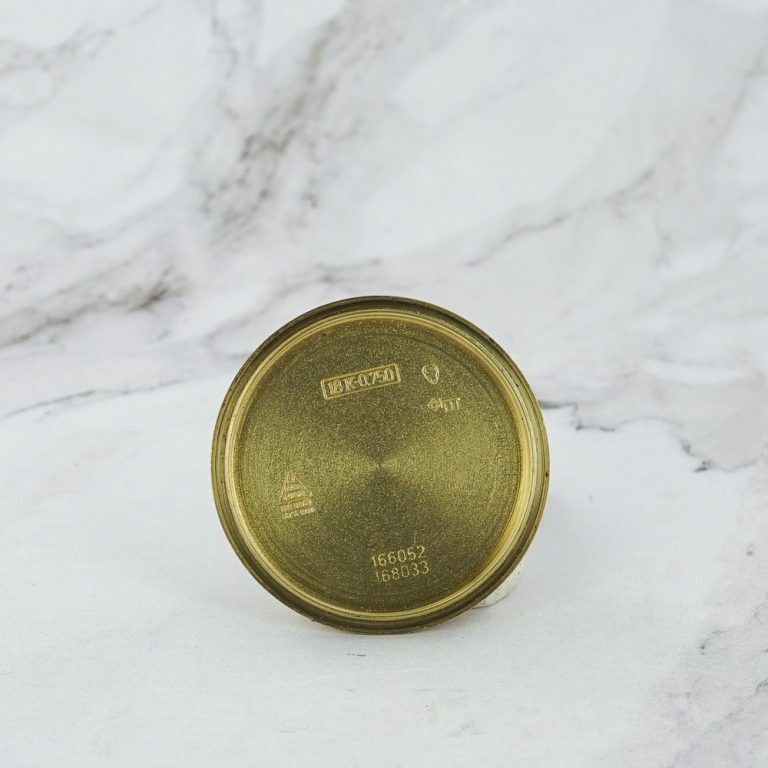 Dial is in perfect condition, case has never been polished and shows no aging marks. Glass is in perfect condition. It comes on a luxury calf strap by Atelier Romane.